Have you ever been caught in a situation regarding data sensitivity analysis in Financial Modeling? If you have faced a problem before, find your answer right here! 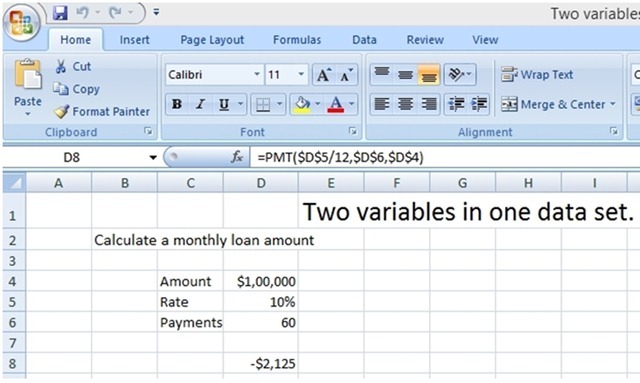 This is a step-by-step blog on how to overcome this problem using two variables! 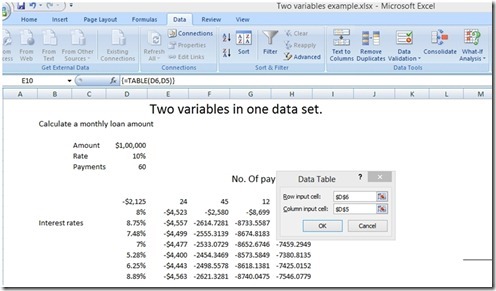 While using scenario-analysis, people always get stuck between one variable and two variables by using one data set. 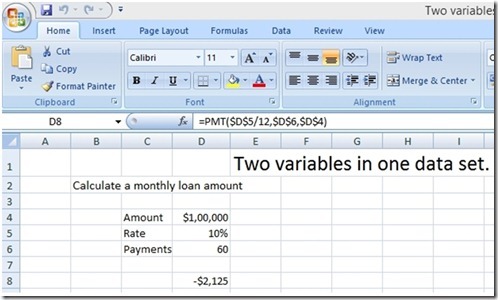 So, to perform this we first need to create the basic assumptions on Excel and then set the Payment method. See how simple it is? It can be implemented very easily while keeping in mind certain pre-requisites! After of doing this, you need to assume more variables and then select all additional variable portions. Then you select data tools from ‘What if’ analysis and put the values that need to be changed. Here you can see that we have put D6(10%) and D5(60). Press ‘ok’ and it will automatically adjust the values according to data given. Easy as a pie! There will be subsequent blogs about the following. So stay tuned for more! 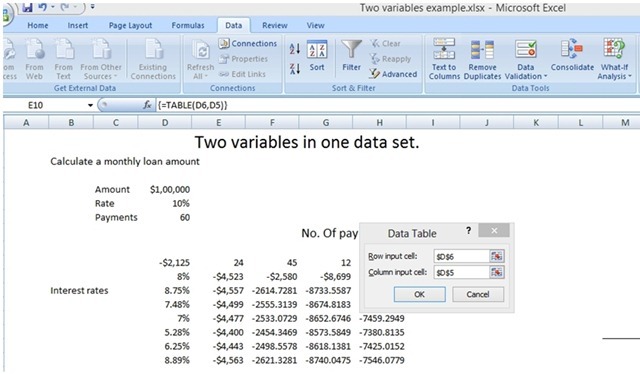 To download the given Excel file so that you can play around with the numbers, just click on the link!